When Christ brought the light of the “dawn of redeeming grace” (Silent Night) into the world “the darkness hasn’t overcome it” (John 1:5 WEB) for this light is the “radiance of God’s glory” (Hebrews 1:3). “God is light” (1 John 1:5). The entire being of God is illuminating, revealing light. At creation, when “the earth was formless and empty, darkness was over the surface” (Genesis 1:2), God’s resplendence, His brightness, His effulgence shone forth. He flooded creation with light. On the sixth day, God formed man. And when Adam’s eyes were opened “the glory of the Lord shone around” him (Luke 2:9). 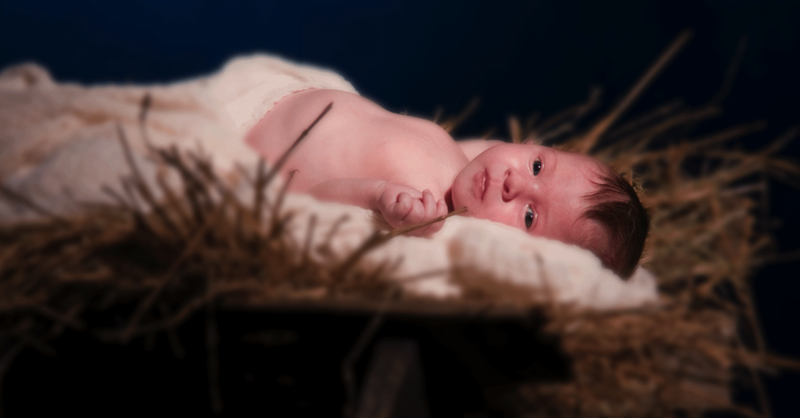 This light of creation shone in the eyes of the shepherds on the night of the Savior’s birth. This immutable light shines in our eyes when we glimpse the Son, lying as a baby in the manger, giving sight to the blind, healing the sick, and saving on the cross. This light of creation is also the light of redemption, and it comes to us through the Light of the world. The continuous, steady stream of God’s glory shines in the world so we can see the Son and the Father. Jesus said, “Anyone who has seen me has seen the Father” (John 14:9). Praise God for His marvelous Light.